This year the Mini commemorates its 60th birthday and here at Stourbridge Automotive Ltd we are delighted to join them in celebrating ‘BMW Mini 60 years’ and everything about the very classic British design. To celebrate its 60th birthday, BMW Mini has launched their BMW MINI 60 Years Edition. 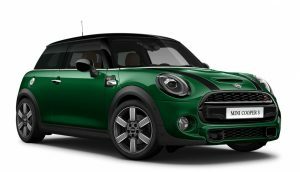 In classic racing green and with beautiful finished details, the new BMW Mini really does ooze British style. As part of a limited edition and with only 500 vehicles being manufactured, the new Cooper S 3-Door Hatch exhibits a two litre engine under the bonnet making the vehicle 192 HP and to commemorates its birthday, 60 Years design characterisitics can be seen throughout the vehicle, including internal features such as the leather steering wheel and 60 Years logo on the Upholstery. Whilst externally, the 60 Years logo is visible on ‘side scuttle surround’ of the car and on the classic bonnet stripes. Come along and celebrate the Iconic Minis’ 60th Anniversary with Stourbridge Automotive Ltd. 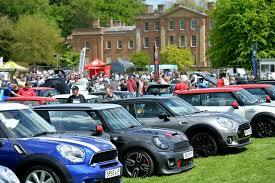 In conjunction with the British Mini Club, the British Mini Day aims to offer ‘MINI statement’ throughout. Visit our stand to find out more about the BMW MINI services that Stourbridge Automotive Ltd offer, plus you and your family will have the opportunity to enter our exciting MINI competitions. The show aims to attract all types of Mini’s and variants from 1959 to present day, so bring the family and enjoy a wonderful day out. If you own a BMW MINI and looking for BMW MINI servicing, repair work or specialist services, then please contact our BMW MINI technicians to find out how we can help. We use BMW’s own ISTA diagnostic and ISTAP programming software and only install Genuine and OE (Original Equipment) parts and Premium BMW Mini approved oils. To find out more about our BMW MINI servicing programme please see our website or contact us.